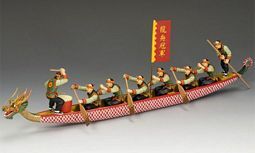 Every year Hong Kong hosts a series of "Dragon Boat" Races. Teams come from all over the world to take part and provide an exciting and colourful spectacle. 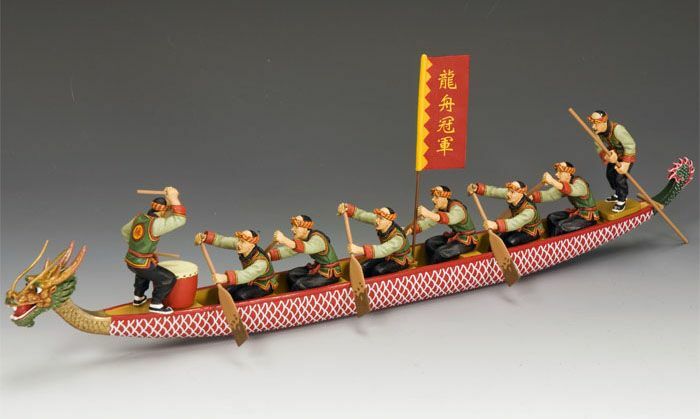 The actual tradition goes back hundreds of years to China and the coastal provinces where fishermen took part. Today real Dragon Boats can have over 20 rowers as well as a drummer and a cox. Available in matt and gloss our beautifully detailed and painted craft carries just six rowers, one drummer and a cox.